The Courtyard by Marriott Novato offers world-class Northern California wedding venues, meeting and event facilities less than 20 minutes north of the Golden Gate Bridge and a short drive from wineries in Napa and Sonoma. Novato is the perfect location for your next event with it’s scenic, northern Marin County location and first-class customer service. 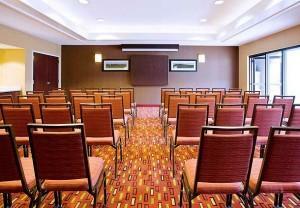 We have 2 meeting rooms available for your event with 1,025 sq ft of total meeting space. 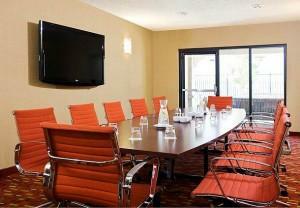 Meeting space with highest maximum capacity is the Marin Room with a seated capacity of 50. Our on-site business center offers free computer, printer and high-speed internet access. Catering is available for breakfast, coffee break, lunch, afternoon break or reception. We have banquet space totaling 1,025 sq ft for your wedding or special event. Receive special rates when you reserve a block of rooms for your out-of-town wedding guests. The hotel also offers a complimentary shuttle service for guests. Contact the friendly team at Courtyard by Marriott to plan your next event.